Since our last product update in April, our team has been working hard to bring new features and improvements to Collage. Some of you have discovered these features on your own and have already provided great feedback and suggestions! In this long overdue update, we want to highlight some of the noteworthy changes we've made over the past few months. 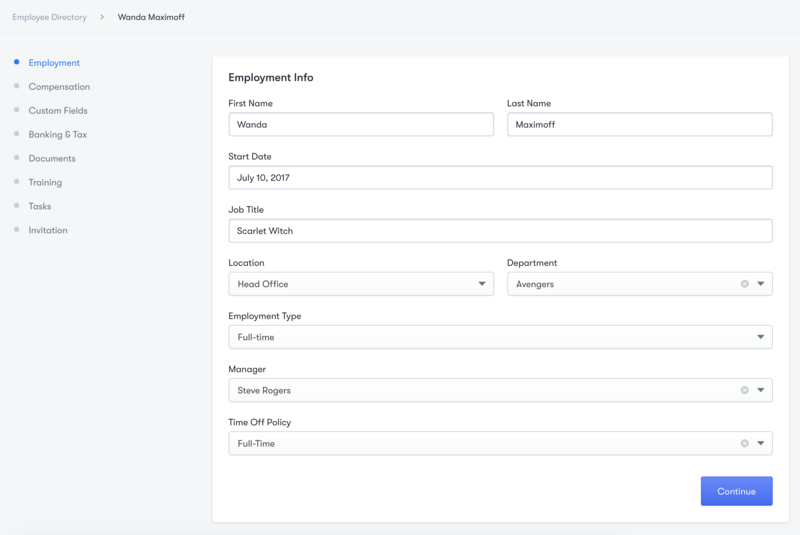 Employees can now be placed on leave, with a configurable leave type and expected date of return. 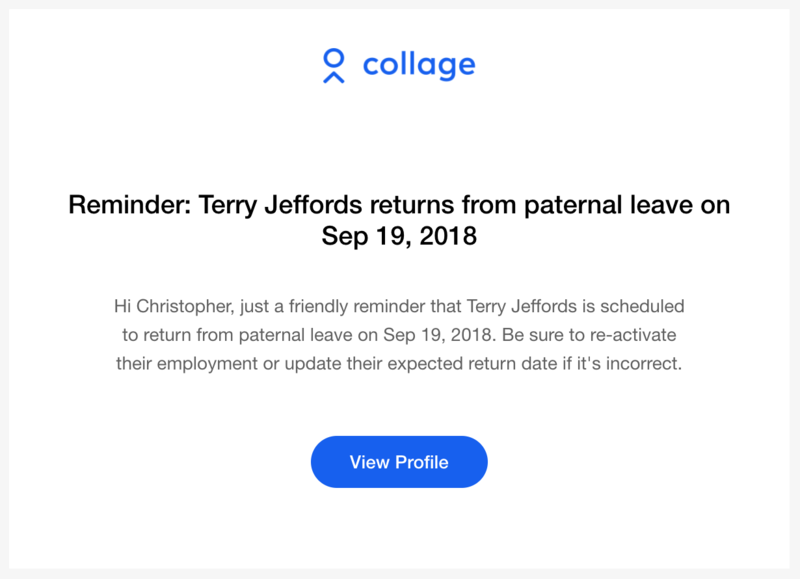 Email reminders will be sent out in preparation of an employee's return, prompting you to restore their active status in Collage. 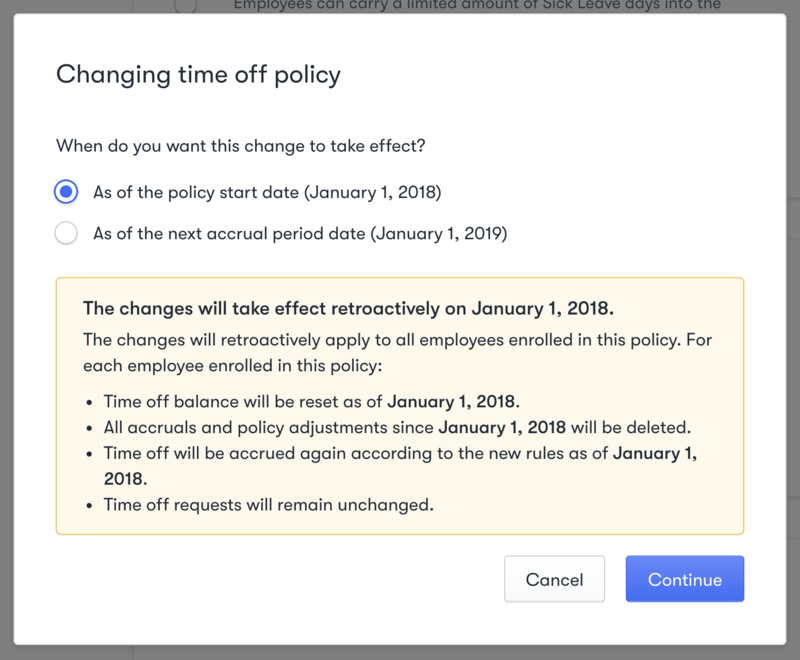 When making changes to the rules of an active time off policy, Collage now gives you the option to choose how you want the changes to be applied. You will be given a choice between applying the changes retroactively from the policy start date or as of the next accrual period. This provides you with a lot more control over how changes made at your company should be reflected in Collage. It also allows you to fix a policy that was initially configured incorrectly. A more detailed explanation of how this works can be found here. You can now create custom calendars within Collage! 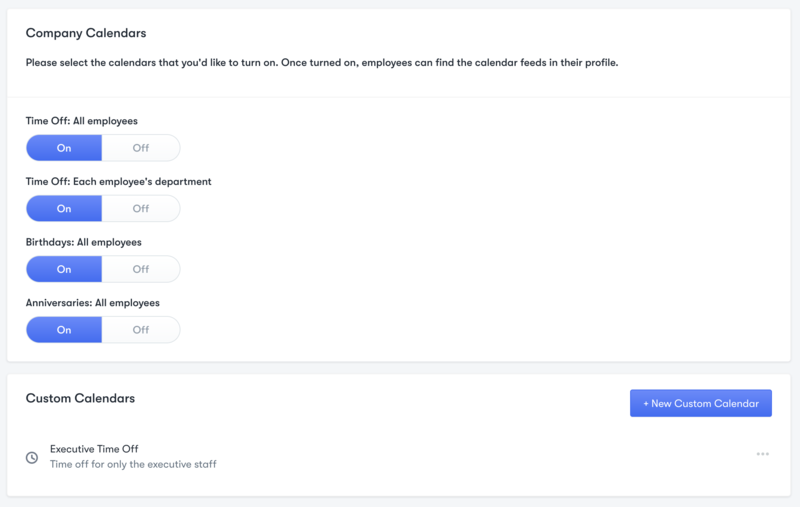 Choose between time off, work anniversary, or birthday calendars and select which employees belong to the calendar and which employees get access to it. For more information on custom calendars, you can check out this help article. You may have noticed our new hire onboarding flow sports a brand new look. Instead of one giant (and sometimes overwhelming) page, you are taken step by step through all the information you need before sending off an invite. The changes here aren't just for show: you can leave this flow part-way through and come back later to finish with all your progress saved. These partial employees will still appear in your directory (as "Not Invited") but won't yet be enrolled in things like time off policies, training programs, or benefits. For more information on this new hiring form, you can check out this help article. 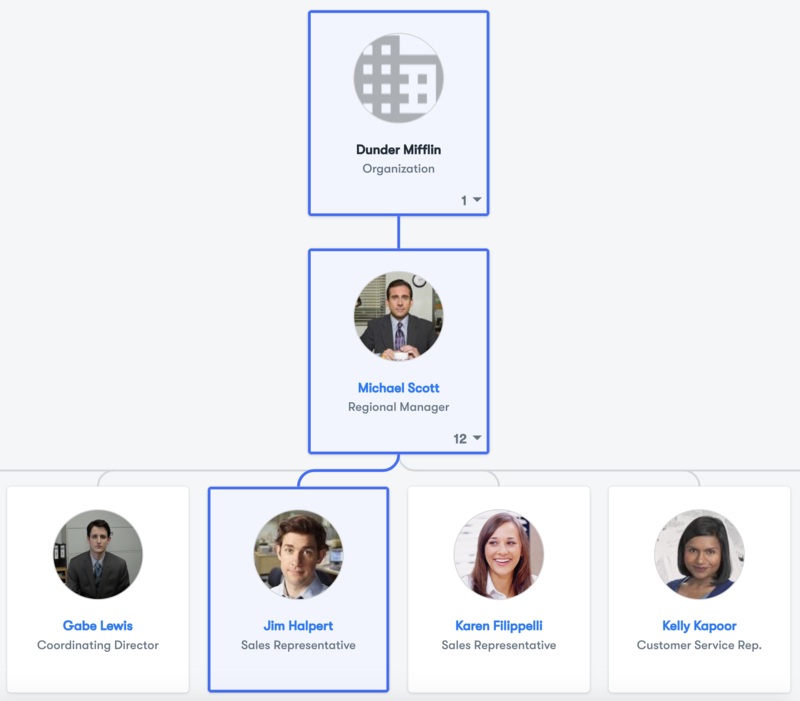 Check out the new org chart in the employee directory! NOTE: If you cannot find the org chart button in the directory, make sure it is enabled for all employees under Roles & Permissions in Company Settings. It is now possible to disable prorating for time off types within a policy. When disabled, employees enrolled in this policy will not have their accruals for this type prorated in the first period. Benefits admins will now see a dependent eligibility report that outlines which employees have dependents that may no longer be eligible for benefits. When a dependent is no longer eligible, employees will be asked to provide more information of their status as a student or disabled adult in order to extend their coverage. 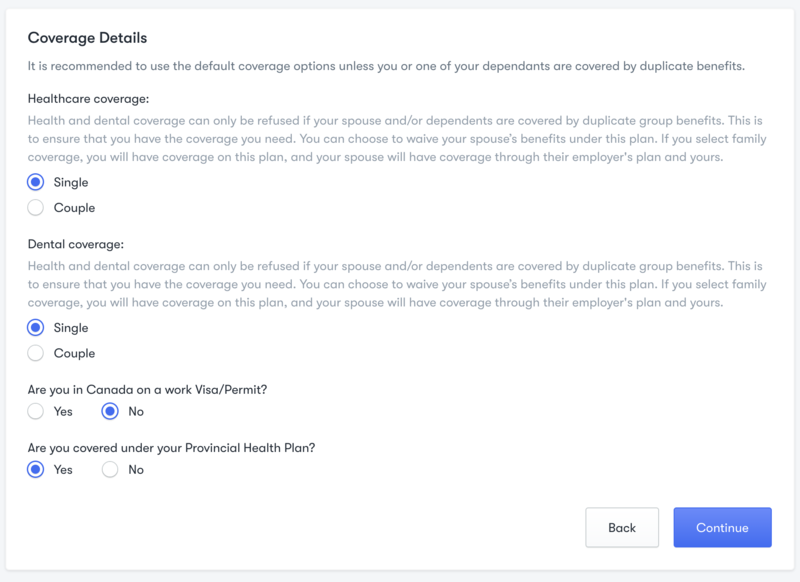 Collage will now accurately reflect benefits plans that are configured to support Couple and Single Parent coverage. The options will become available depending on what you indicate for spousal and dependent information. If you know your benefits plan supports Couple or Single Parent coverage, contact your account manager to add this support within Collage.